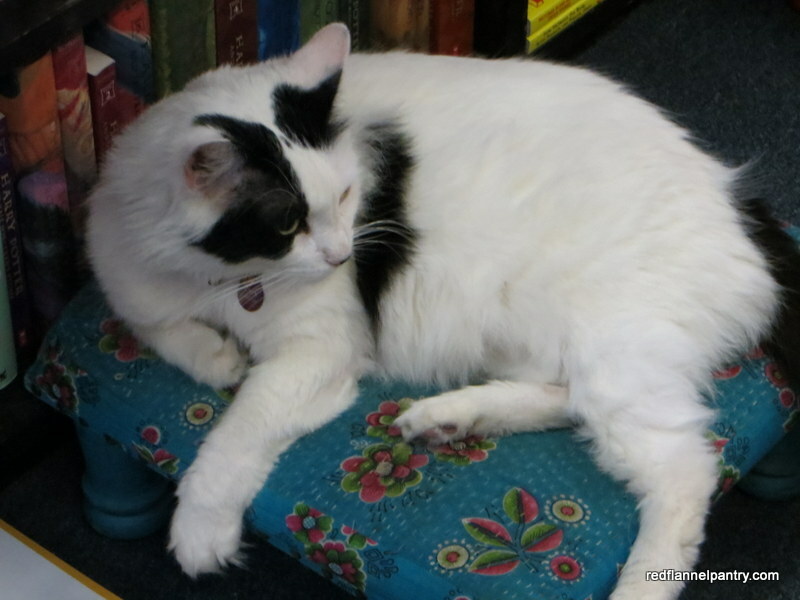 Back in December, I was doing well keeping pace with Elizabeth Hartman’s Cat Quilt-Along–until my college kids came home. 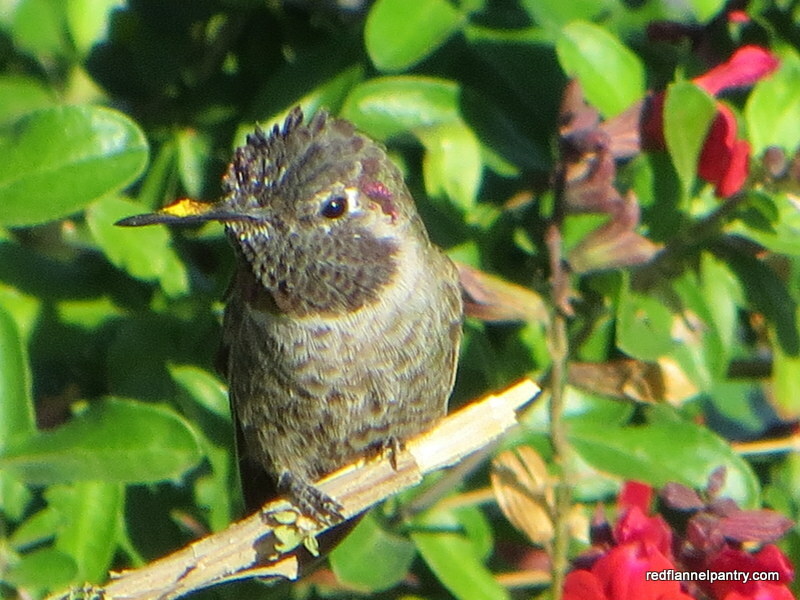 Their company and accompanying holiday fun derailed my block-a-day plans–that’s ok.
I’m back at it. Here are Victor, Boogie, Amelia, Max, Violet and Maslow (x 2). Only three more to go! Last week my husband spent several days with his sisters helping their parents downsize and move into an independent living community. Many of our friends have gone through this process with their parents, and a key bit of advice they shared was, when offered something, accept it graciously. . . and decide later what to do with it. 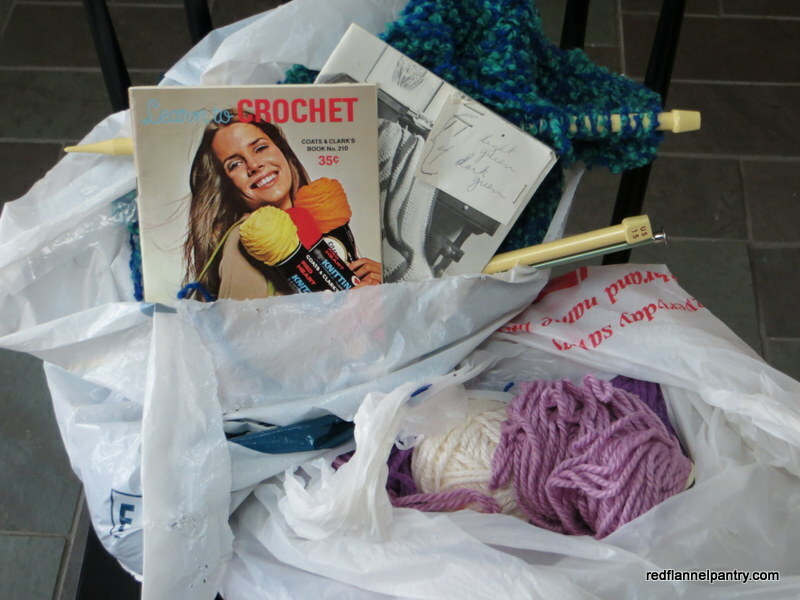 In the end, my husband didn’t return home with much beyond these two sacks of knitting and crocheting that belonged to my mother-in-law. I know how much angst can be wrapped up in these unfinished projects, so I’m glad my husband knew to take them off her hands. I’ll see if any of my knitting friends (or maybe my knitting newbie daughter) are interested in these supplies. Otherwise, I’ll give them to Goodwill. I hope someday someone will gently part my UFOs from me–and that there will be so few that they will fit in two small plastic bags! Inside one of the bags I found this Kansas City Star article published in April 1998. It tells the story of a deviant Sunbonnet Sue quilt named “The Sun Sets on Sunbonnet Sue”. In 1979, the quilt’s creators, members of the Seamsters Union Local 500 in Lawrence, Kansas, created blocks in which they depicted various ways of killing off smarmy Sunbonnet Sue. The needlework judges at the Sunflower State Expo in Topeka, Kansas deemed the quilt “unacceptable” and would only allow it to be displayed face down on a table so visitors couldn’t see the various dastardly ways the quilters had depicted Sue being done in. 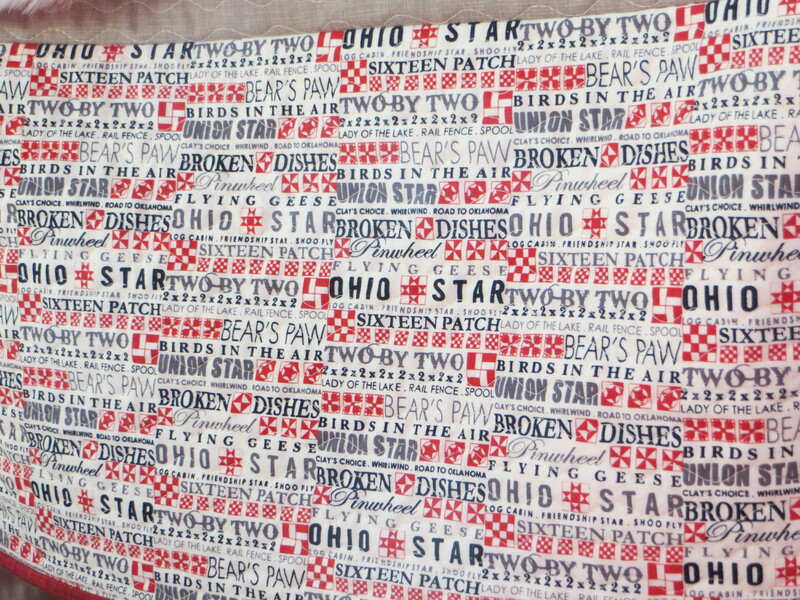 I knew I had to see this quilt–a quick Google search revealed it to be at the Great Lakes Quilt Center in the Michigan State University Museum. You can see it here. 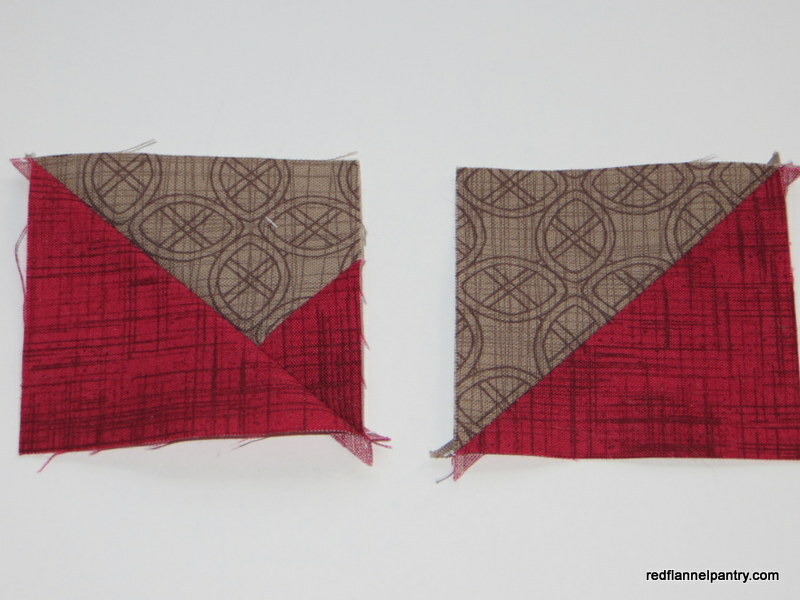 In looking through the close-ups of the blocks, I learned that Barbara Brackman, a well-respected quilt author, was part of the Seamsters and made two of the blocks–a fun fact. There’s more to the story. 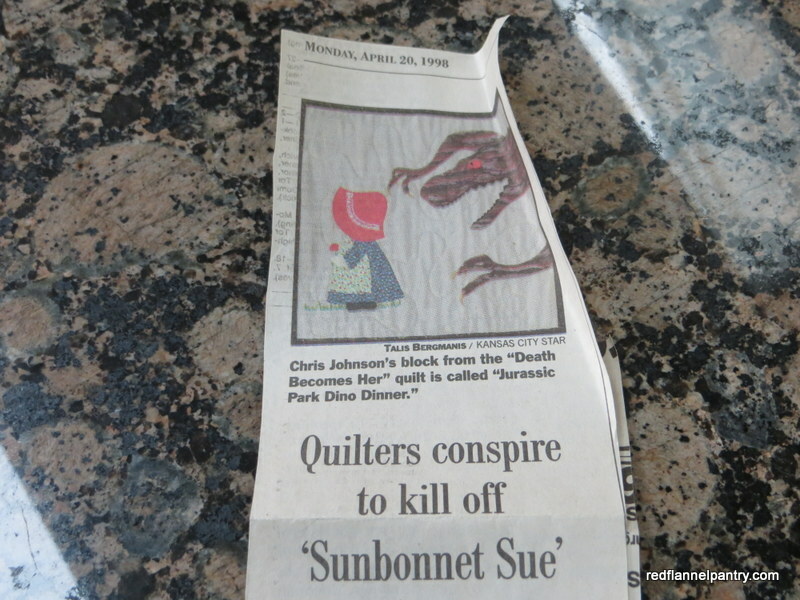 In 1997, another group of Lawrence, Kansas quilters (Seamsters Union Local 925) decided to create a spin-off Sunbonnet Sue murder quilt: “Death Becomes Her.” You can see it and read about it here. The quilt was exhibited at the Ronald Reagan Presidential Library and Museum. While there, it too was found offensive and removed from display (read about it here)–geez louise. My mother-in-law has a small doll-size Sunbonnet Sue quilt, so a friend must have clipped the article for her knowing she’d get a kick out of all of the fuss–and I did too! 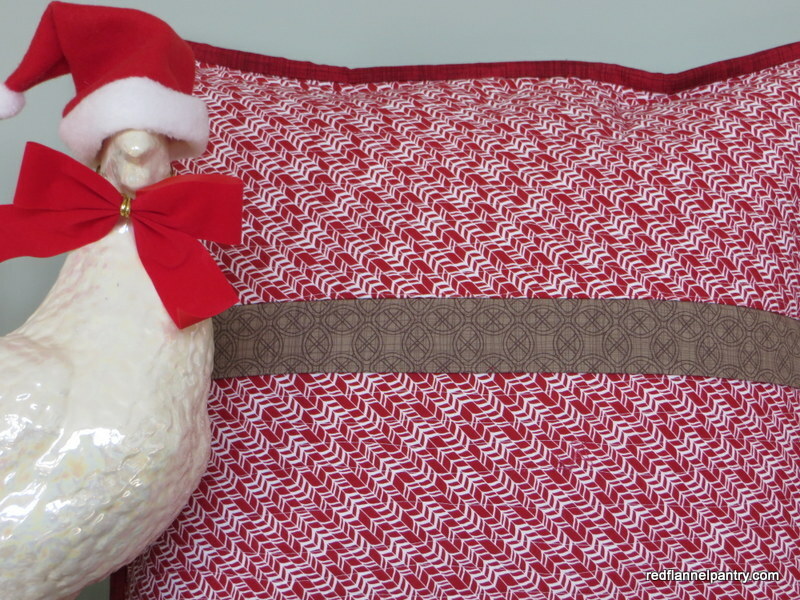 I started making this table runner with the idea that it would be a host gift for Daughter #1’s home-stay family, but as it came together, she and I decided it was a bit too Christmas-y for a post-Christmas gift. So now I am ahead on Christmas gifts for 2014! 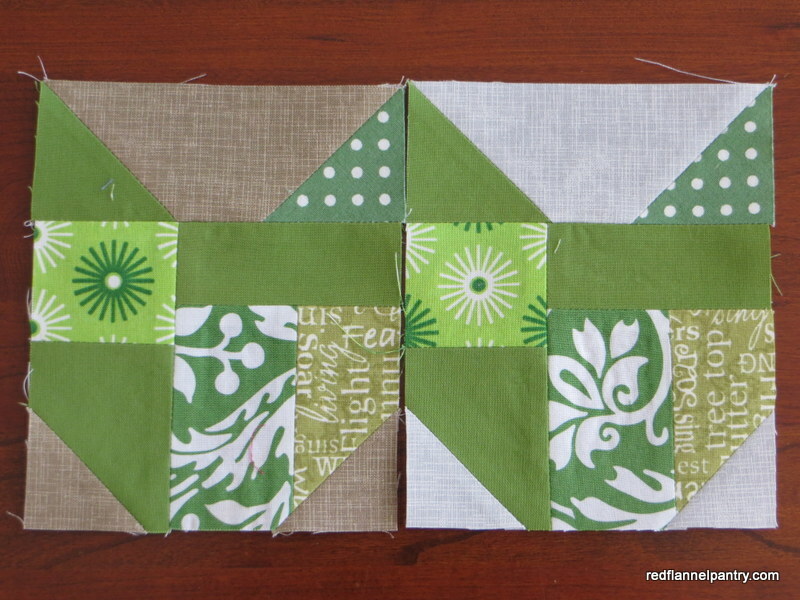 For the star blocks, I used Allison Harris’ (Cluck Cluck Sew) star block tutorial to make the three star blocks. (I used this same tutorial to make a quilt top you can see here.) I added a 1-inch blue border and then a 1 1/2-inch red pine needle border. 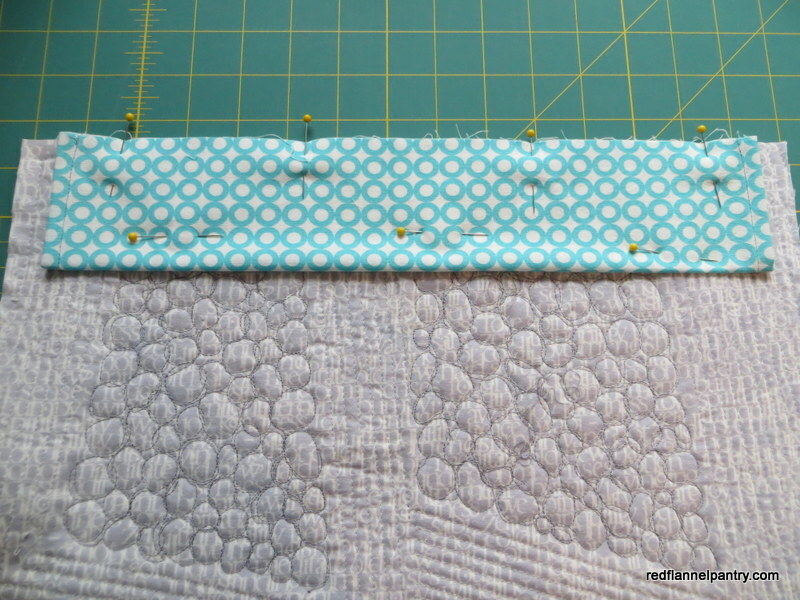 When making the star points in the star blocks, I sewed another 1/4 inch away from the corner-to-corner seam and then cut the corners off between the two seams, leaving a narrow 1/8-inch seam allowance. 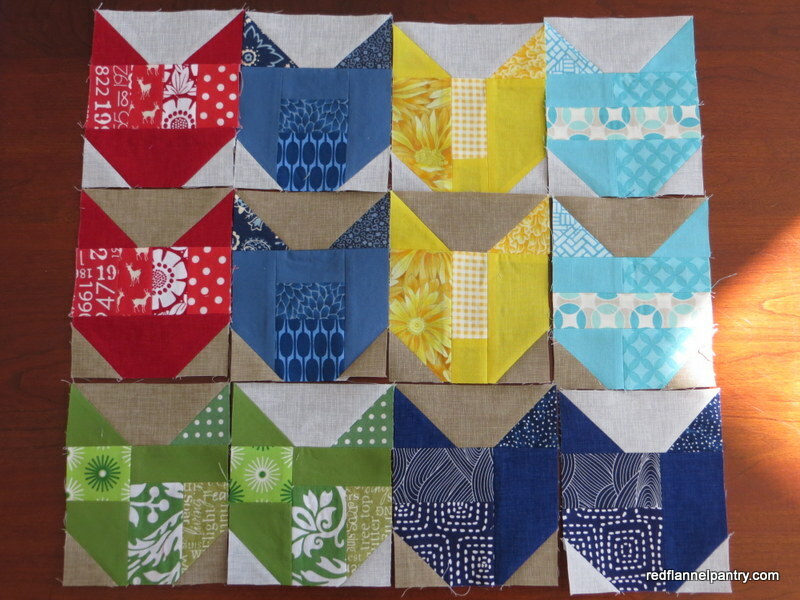 I ended up with a bunch of little 2 1/2-inch blocks . . .
. . . half of them half-square triangles (HSTs) and half of them the funky layout on the left. 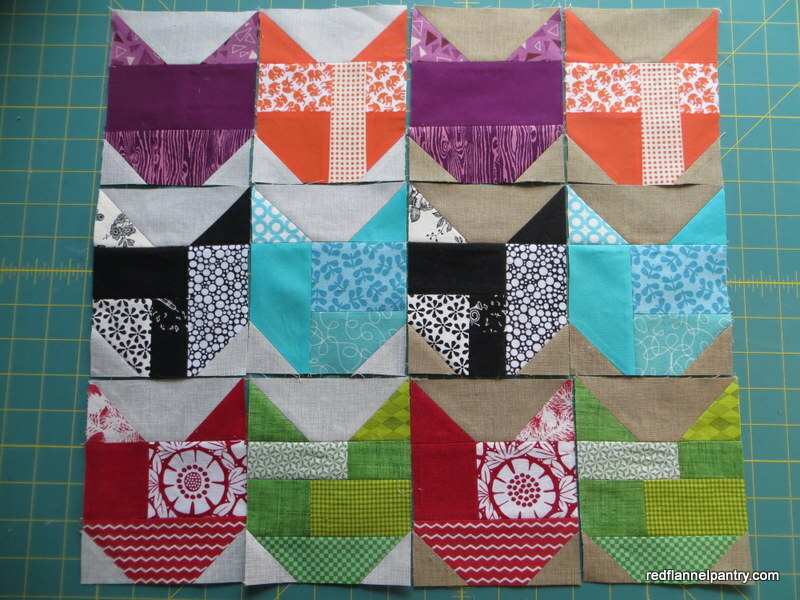 Playing around with the funky squares, I came up with this 4 1/2-inch block, with a perfect mini 1 3/8-inch square in the middle of the pinwheel. I couldn’t have pieced this precise a block on purpose if I had tried! I am sure this windmill-variation block exists out there with its own special name, but I can’t locate it. I looked through The Quilter’s Album of Patchwork Patterns by Jinny Beyer but couldn’t find it. 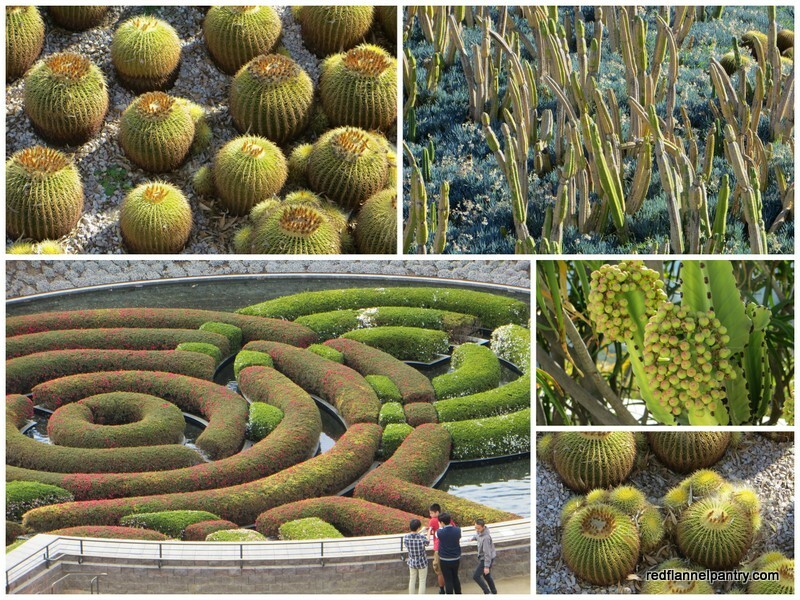 Does anyone know its name? When Daughter #1 and I were discussing gift ideas for her family-stay hosts, she thought she’d like to also bring a gift for the program director. Mervyn has coordinated this program with her college for many years. He lives in Northern Ireland, and every year he journeys to her college to meet with the students a couple of times before the study-abroad semester begins. He’ll be working closely with the students while they’re on the program. 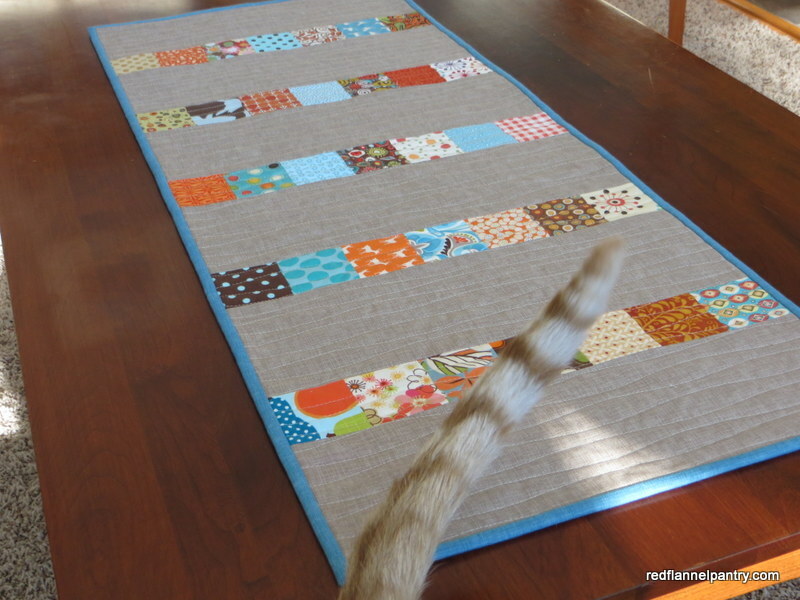 At first I thought, well, I’ll make him a table runner too. 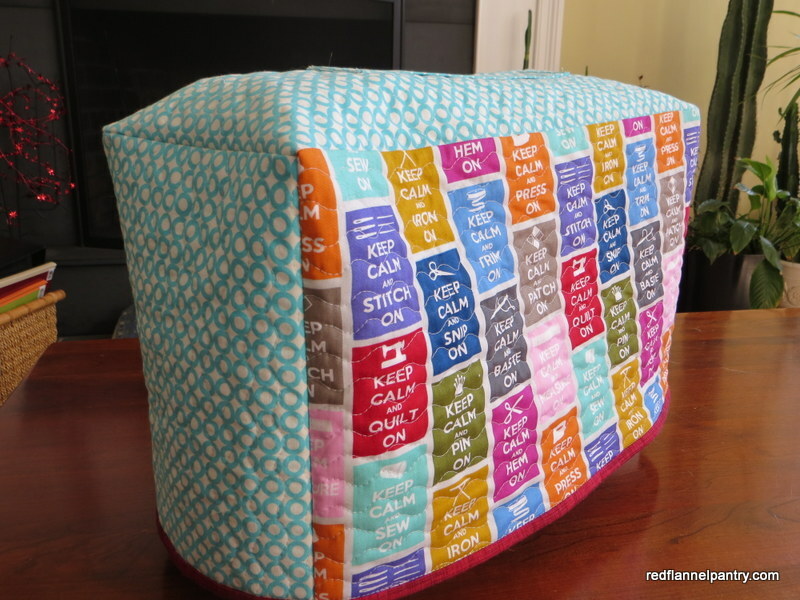 But then I remembered a mini-quilt tutorial and knew it’d be the ideal gift. You see, Mervyn’s last name is Love, as in Dr. Love–isn’t that the perfect name for a professor of peace studies and conflict resolution?! 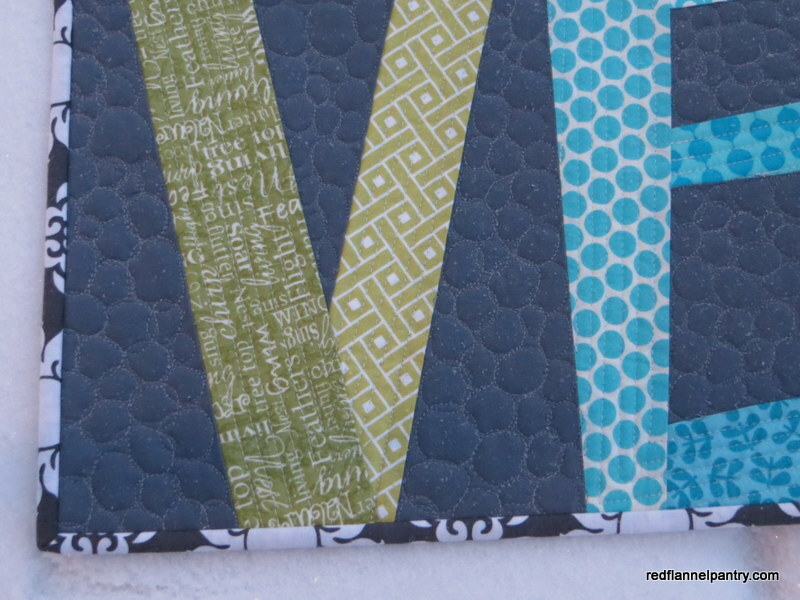 So I located this true love mini-quilt tutorial by kelbysews on Sew Mama Sew and got to work. It’s a paper-pieced project, and I had never paper-pieced before. My visual-spatial abilities are sorely lacking (to my architect-husband’s bemusement), so working in reverse is hard for my mind to grasp. I learned quickly to generously overcut each piece to allow for error (and I made a couple). Once I got the hang of it, I managed. 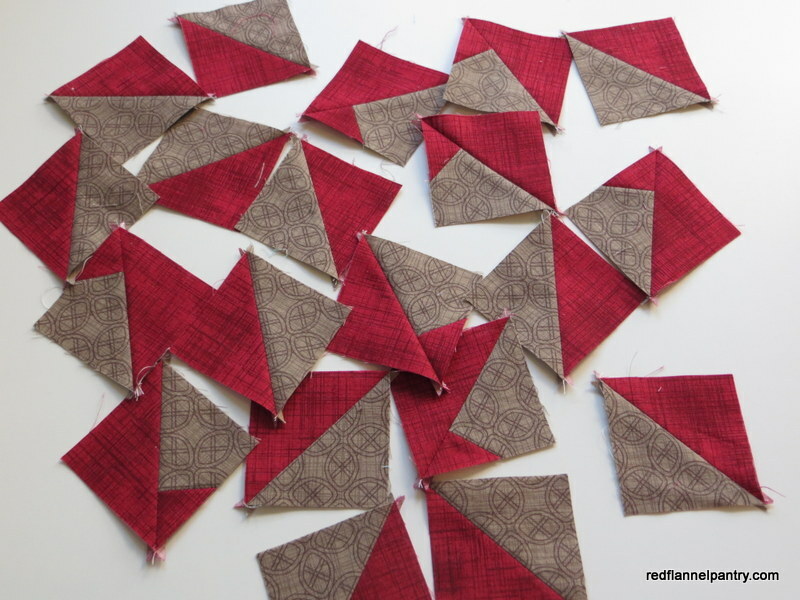 If you’ve never paper-pieced before, this tutorial is a great first project. I made the mini-quilt full size (finished dimensions: 15″ x 20″). As well as embracing the challenge of a paper-pieced quilt, I also stretched myself on the quilting. My impulse, given the time crunch, was to do a quick overall pattern. 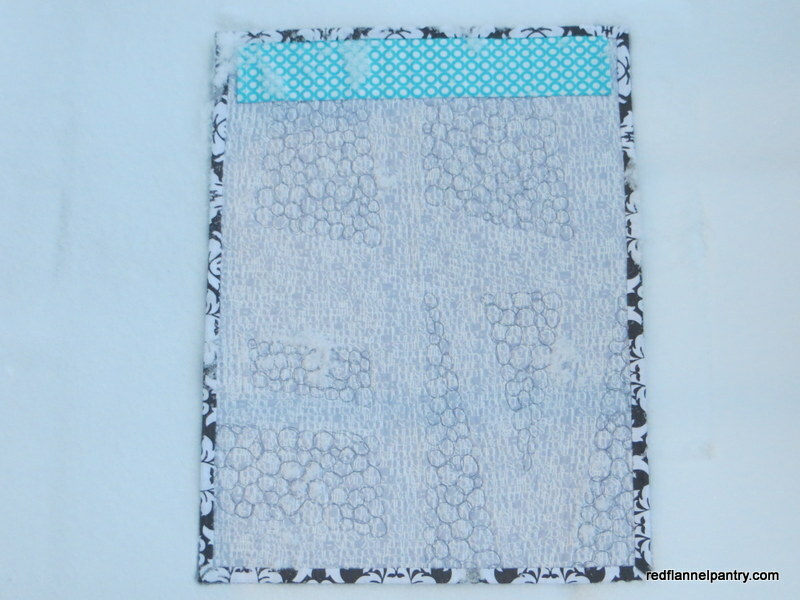 But I saw another love mini-quilt, admired its pebble quilting and thought, I can do that! So I did. I straight-line quilted the letters at 1/4-inch intervals. In my stash, I found the best fabric for the back. 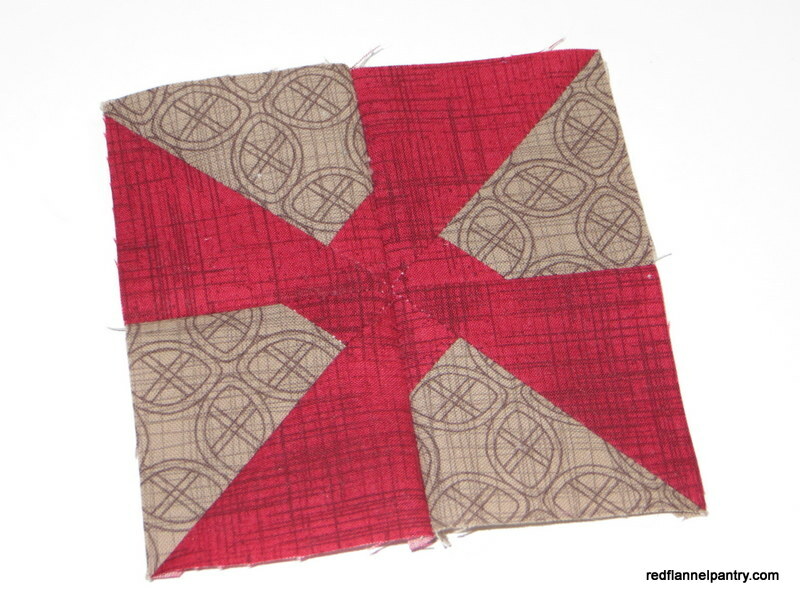 I bought it at least 4 years ago–snips of it continue to find their way into my quilts. 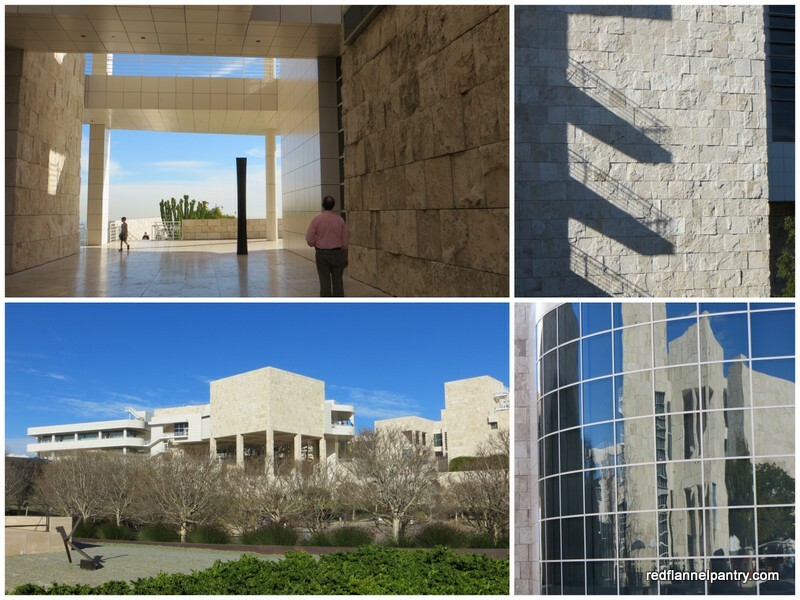 The words embrace the nature of the study-abroad program–and the term wabi-sabi defines my creative approach. I pinned a hanging sleeve in place on the back before I sewed the binding in place on the other side. 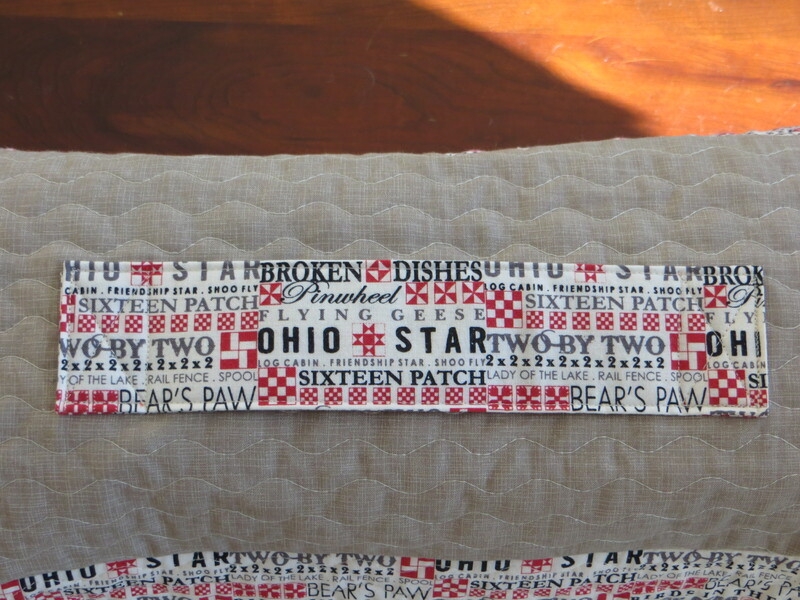 Then when I sewed the binding, the top edge of the sleeve was sewn in place too–one less thing to hand-sew. I am all about easy. If it weren’t for the binding and the hanging sleeve, I think the entire piece would be camouflaged in the snow! Daughter #1 will be staying with a family during her Northern Ireland semester, so she wanted to bring along some gifts for them. We thought a table runner would be a good idea: easy to pack, useful and decorative. Of course, I meant to make it before Christmas–oops. Her departure date is fast approaching, so I needed to get a move on. I have an apothecary jar filled with 2 1/2-inch squares, so my design began there. I sewed five rows, seven squares each, and then cut six 14 1/2-inch x 5-inch solid panels and pieced as pictured above–easy as could be (finished dimensions: 14″ x 37″). 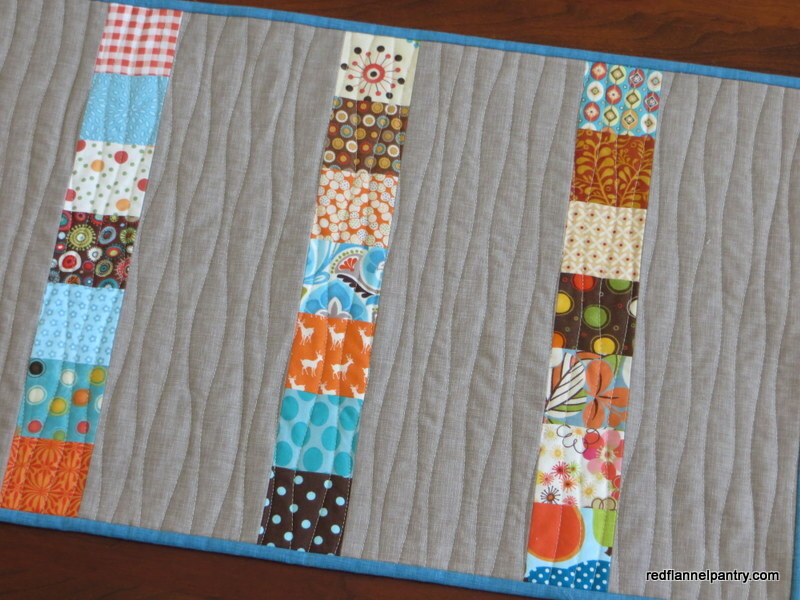 The runner could be made longer by adding additional rows/panels and deeper by adding additional squares to the rows and adjusting the size of the solid panels accordingly. 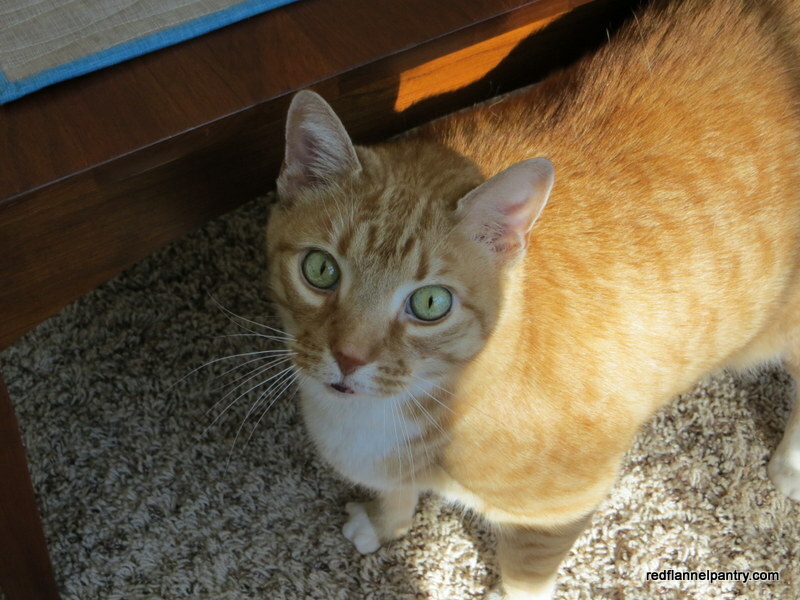 Despite my attempts at gently shooing, Hobbes insisted on being in the pictures (note tail above). For the back I found this great bit of nuts fabric in the stash. 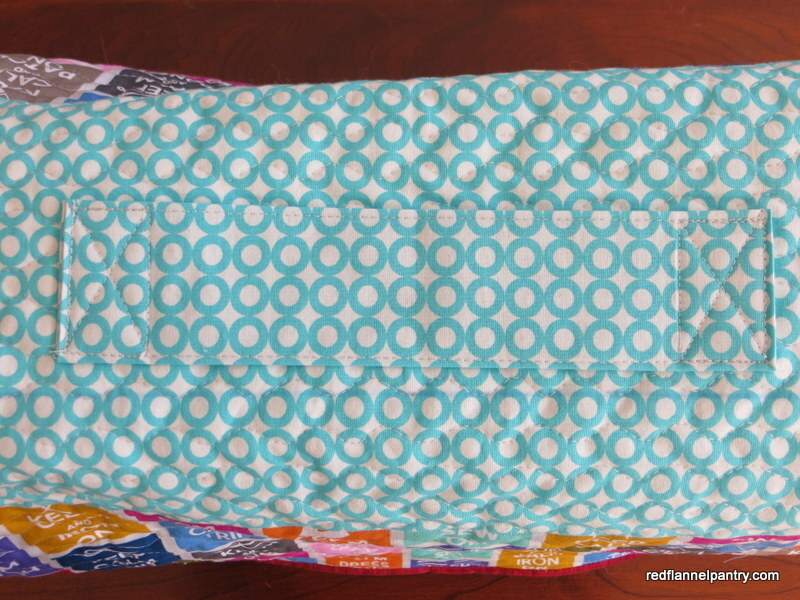 I quilted it with organic lines using the walking foot–again, easy and looks lovely. 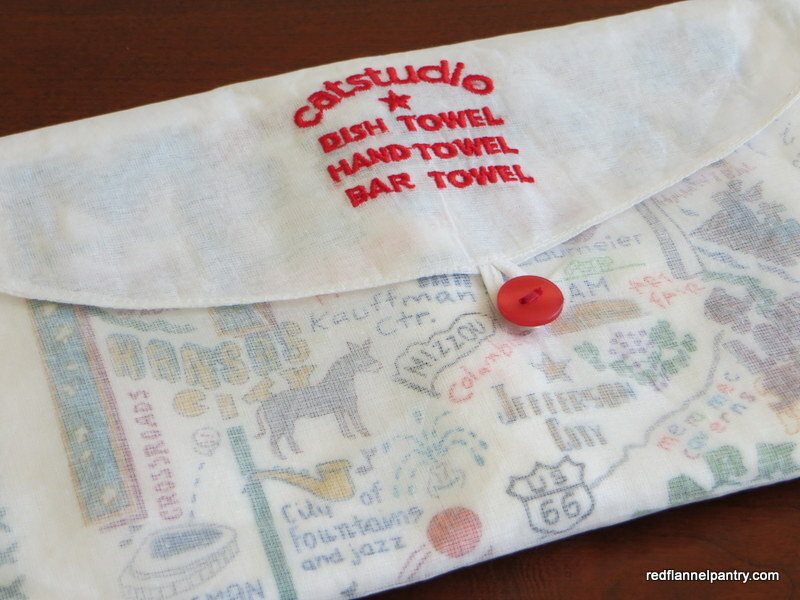 Because I wasn’t sure if I’d get a gift made in time, I bought a back-up: this cool dishtowel from catstudio. 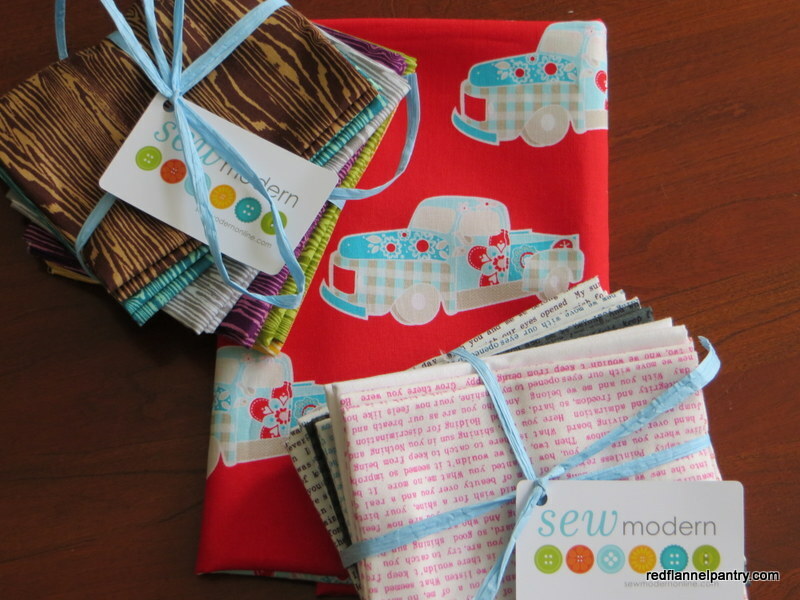 It comes in its own decorative fabric envelope, perfect for gift giving. 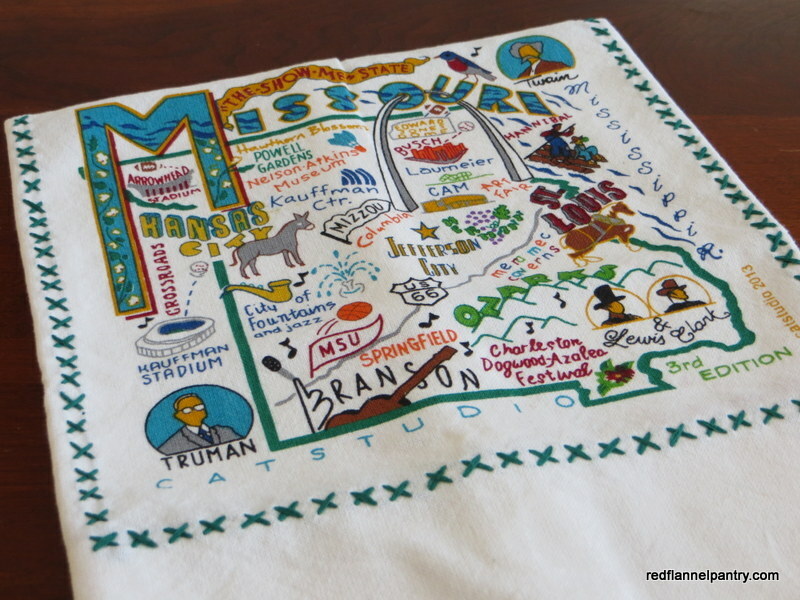 You can get them for every state–so here’s our home state, Missouri. Although the design is printed, the cross-stitching is sewn. 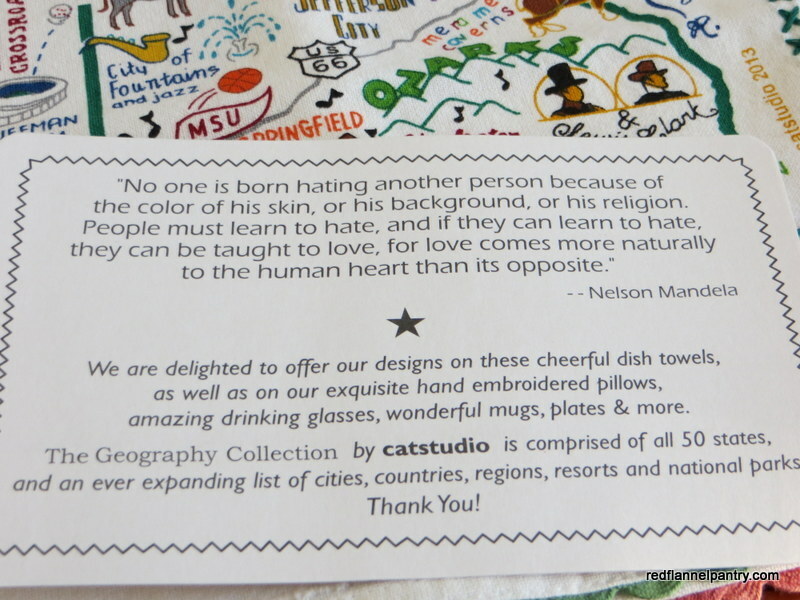 And here’s an unexpected bonus: this wonderful card with a quotation from Nelson Mandela. Since D#1 will be studying international conflict resolution and mediation, it couldn’t be more perfect. My friend, Jill, is from up north, the daughter of a Lutheran minister of sturdy Swedish stock. 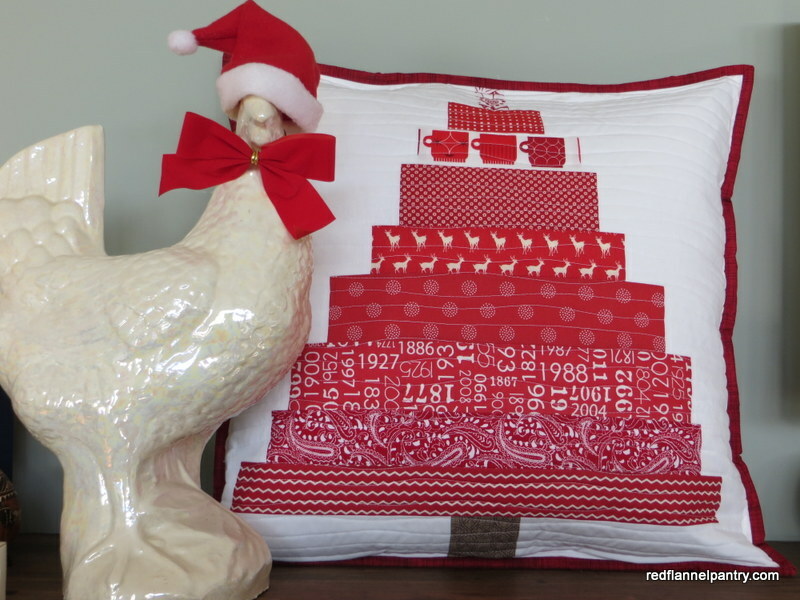 When I came across this tutorial for a Scandinavian Christmas tree pillow by Kerry Green, I thought of Jill, of course. 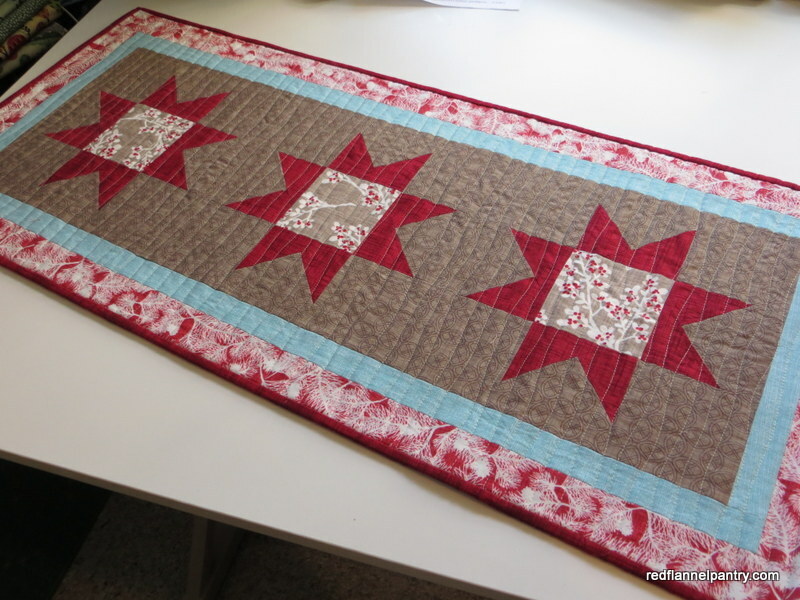 I followed the design for the front but used whole pieces for each red strip rather than piecing. Like the original, I fussy-cut a strip of tea cups, a nod to Jill’s beverage of choice. I left off the top and bottom white strips and trimmed to create a 19-inch square. I quilted it with organic (read, wandering) lines using a walking foot. 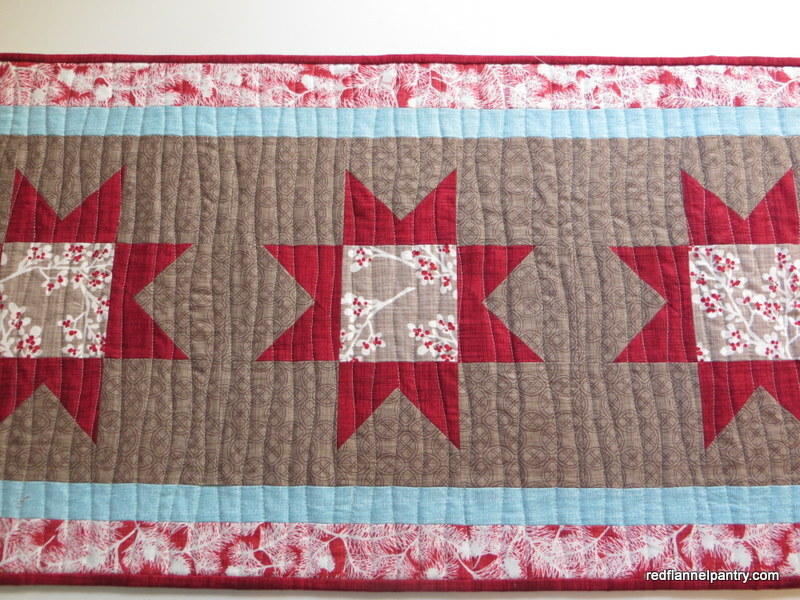 It was free-motion quilting with training wheels–I like the finished look and it wasn’t nearly as anxiety producing as straight-line quilting or FMQing. For the back, I quilted the top and bottom panels the same way as the front and inserted a zipper in the middle beneath the brown strip. I sewed front and back wrong sides together and then added the red binding. I like that the design can carry from Christmas through Valentine’s Day and beyond if desired. Curious about our chicken? 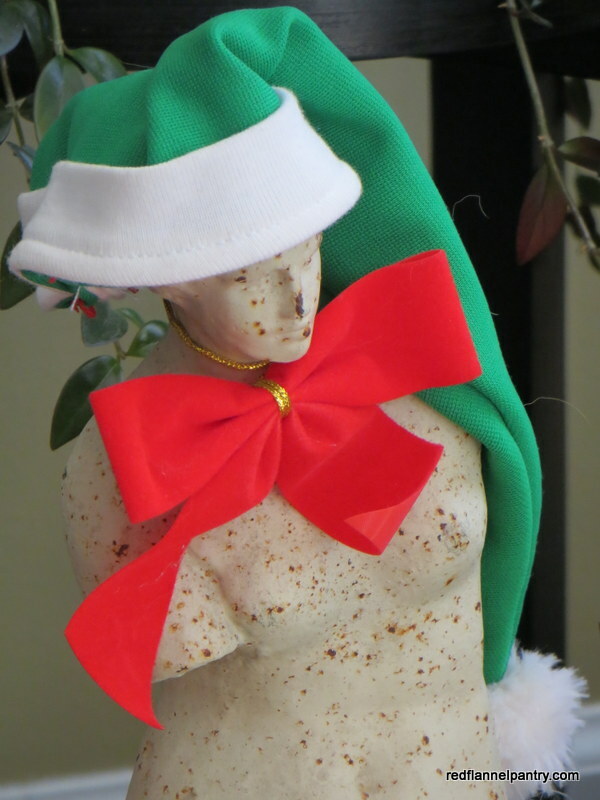 It (minus the hat and bow) is the work of ceramic artist Jens Morrison (circa late 1960s–early 1970s) and is a favorite piece of Daughter #2’s. Don’t tell my sister-in-law, but I’ve made a sewing machine cover for her too. 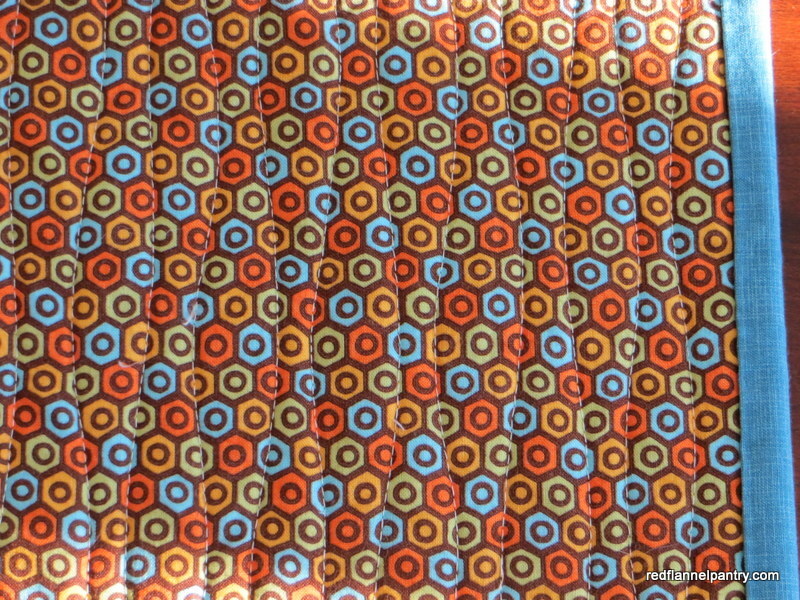 I found the perfect fabric from Moda (Mama Said Sew). 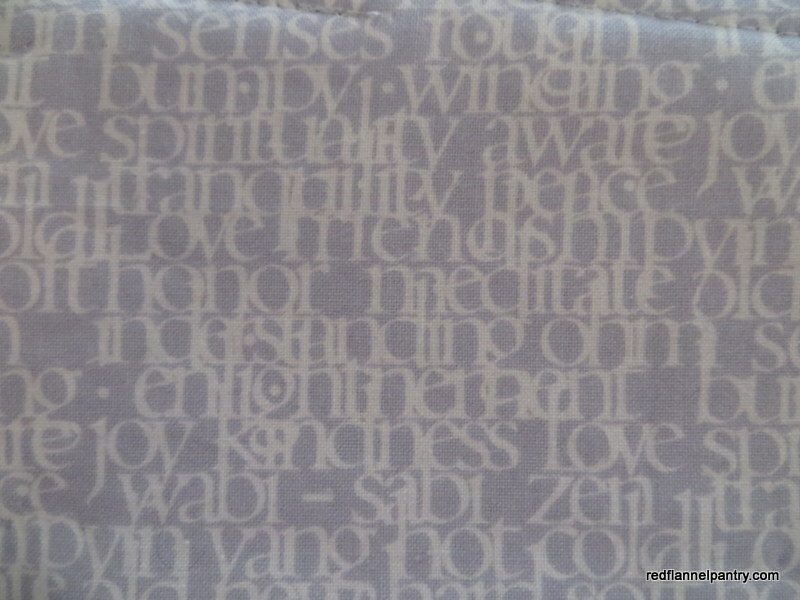 Terrye is an artist who makes quilt-like paper collages, so this quilt-square name fabric fit the bill. This time you can see the handle! 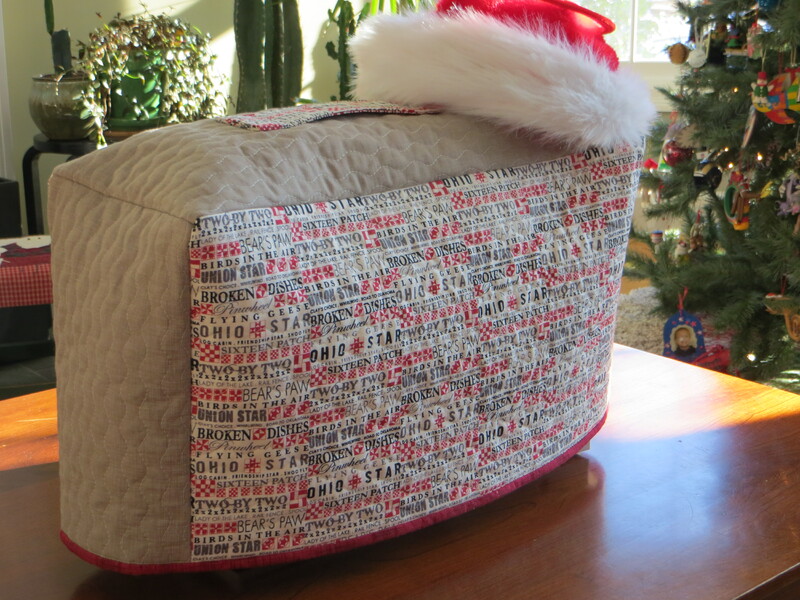 I decided to make a practical gift for a practical friend who sews: a sewing machine cover. 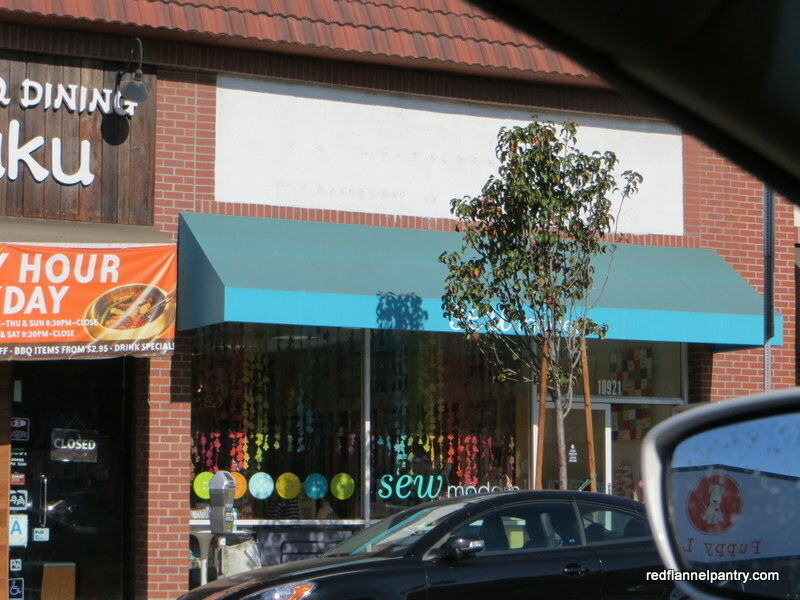 A tutorial at sewdelicious was my guide. 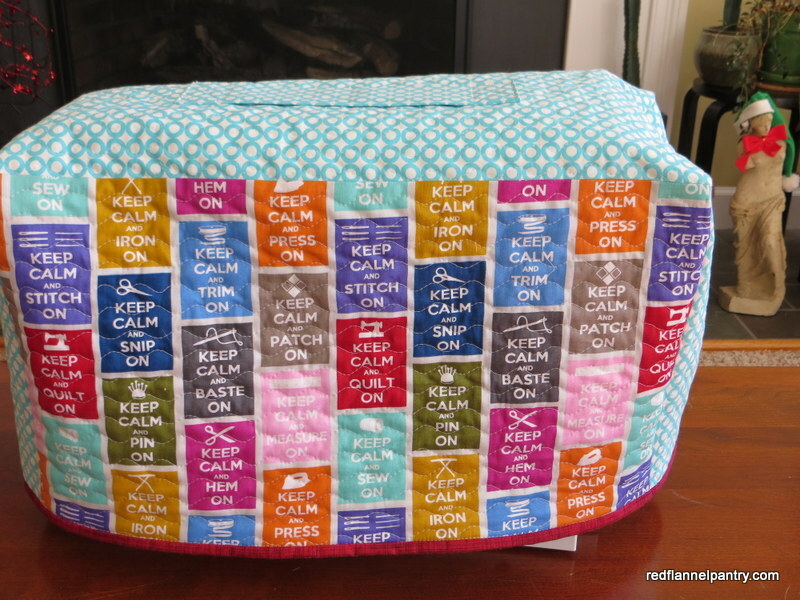 Although I love the pieced look of Ros’ cover, since I had this great Keep Calm fabric, I used it as panels rather than piecing charm squares per the tutorial (front and back panels: 10 1/4″ x 18 1/2″; top panel: 8″ x 18 1/2″; side panels: 8″ x 10″). I joined the front, top and back panels and quilted it as one unit. I then assembled as in the tutorial. I used muslin as a backing when I quilted the panels, so I skipped making the lining. It’s hard to see, but I added a handle on top. 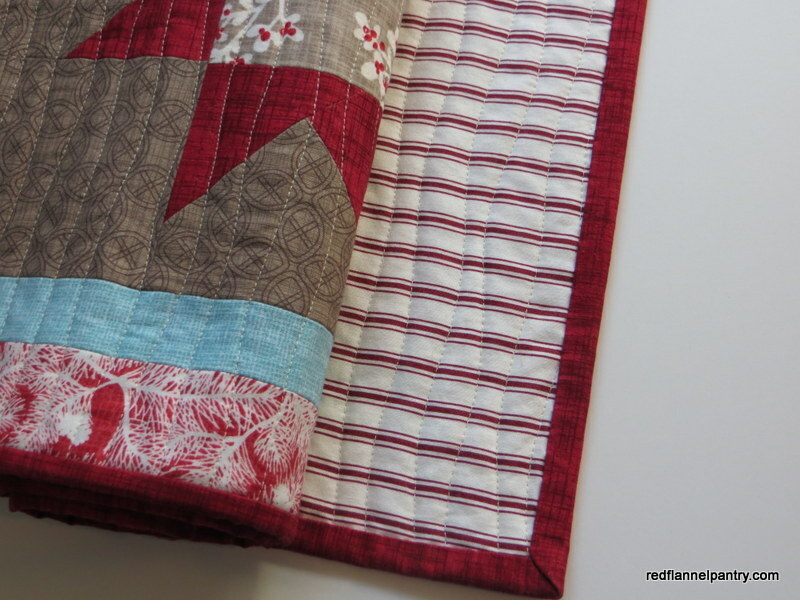 For the first time, I machine-stitched the binding down following Rita’s (of Red Pepper Quilt) tutorial. I figured since no one would see the other side of the binding on this project, any wobbles would be safely hidden. The front side of the binding looks great and it took a whole lot less time. However, the back isn’t as nicely finished as I like–I need more practice with that technique before I’ll try it on a quilt. 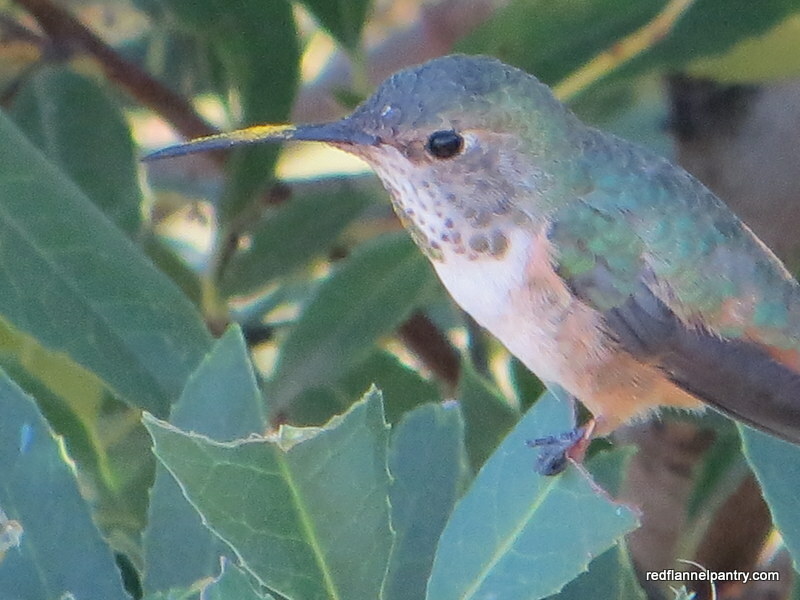 Since Venus photobombed my first picture, I thought I’d give her a close-up. She’s showing off her holiday garb. I continue to work on Elizabeth Hartman’s cat quilt-along. I did some fussy-cutting on this cat. Once I had him pieced . . . 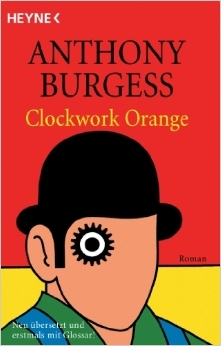 I realized he resembles a feline version of Alex in Clockwork Orange!